A Bay Area immigrant from Guatemala whose wife and 5-year-old daughter were detained and separated while crossing the border earlier this year was reunited with his family Wednesday night at San Francisco International Airport. 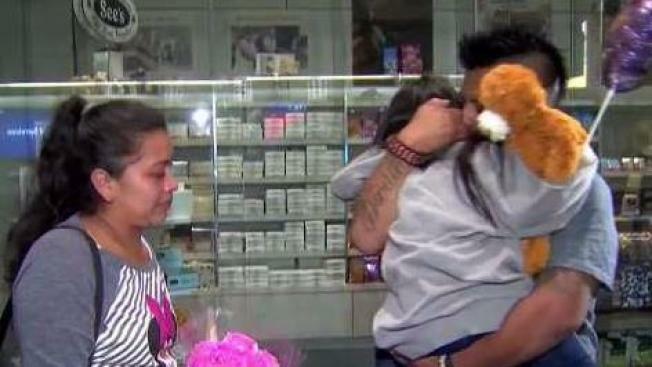 Walter Lopez of Redwood City, who had been trying for weeks to get his wife Clara and daughter Darline released from federal detentions in Texas and Arizona, respectively, saw them for the first time in four years at SFO a little after 10 p.m. All three were in tears as they hugged and kissed one another. Clara and Darline were reunited Tuesday after weeks apart. Lopez first told NBC Bay Area about his family's separation on July 5. At that time, he said his wife and daughter had been detained for six weeks. He also said his daughter was being "inappropriately touched" by another girl at the detention center. "I need to be able to get my daughter out as soon as possible," he said at the time. "I know she needs me." Lopez waited anxiously at an airport gate where Clara and Darline were expected to arrive, but as the minutes passed and no more passengers were flowing through the doors, he was told they arrived at a different gate. They eventually found each other in the middle of the terminal.